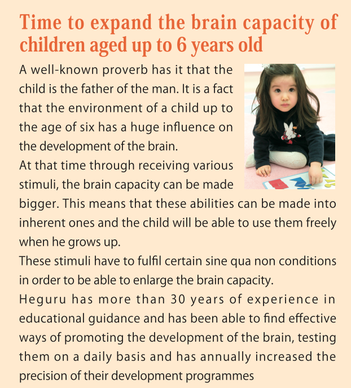 Heguru Method is developed by Heguru Japan with over 30 years of extensive research and practicum on Right Brain Training & Whole Brain Development. 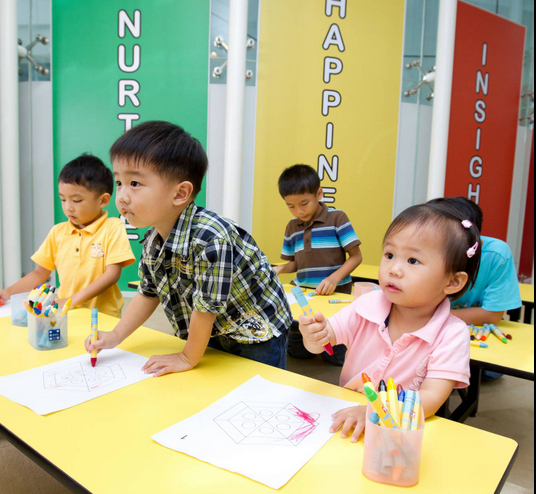 Heguru Method has been proven to an effective early childhood education programme which emphasizes on creative and critical thinking in a fun-filled learning environment. How Does The Rate Of Brain Growth Change With Age? When Is The Best Time For Your Child To Have Right Brain Training? 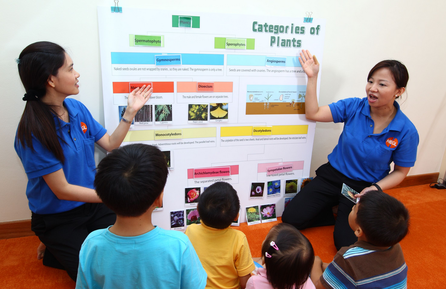 Educational research has always emphasized the golden period of a child during the infant and toddler age. 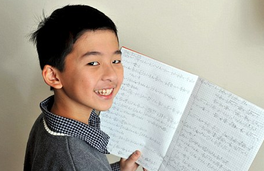 It is a crucial period when a child builds his fundamental abilities. HEGL Heguru offers the programme that is best during this optimal period. Through a full-scale and holistic right brain training programme, we create an environment to fully unveil the potential of each and every student. 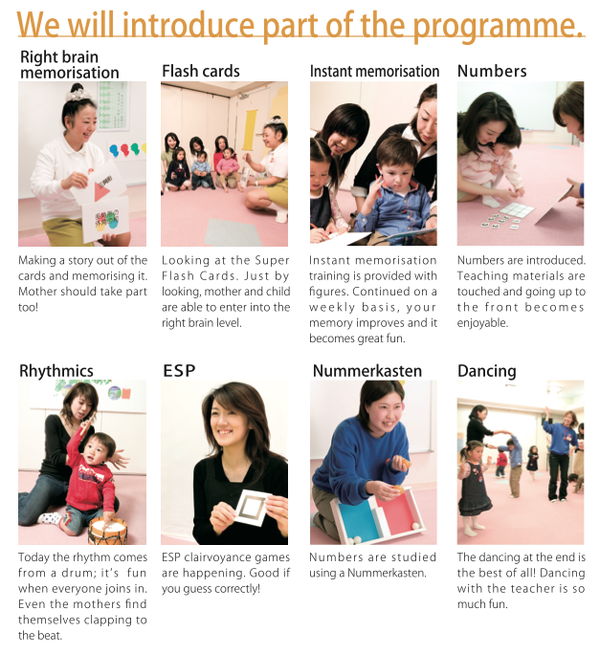 Enables both parents and children to grow together in a happy environment.